Thomas McGuinness, the co-pilot of American Airlines Flight 11 before it became the first plane to be hijacked in the 9/11 attacks, only assigned himself to be on the flight the afternoon before September 11, 2001, and pushed from it the original co-pilot, who had put his name down for the flight less than half an hour earlier. This new information means that, curiously, half of the pilots and co-pilots originally at the controls of the four aircraft involved in the attacks are now known to have been assigned to the doomed flights at the last minute, very shortly before September 11. Additionally, more than half of the flight attendants and many of the passengers are known to have, similarly, not originally been booked onto those flights. 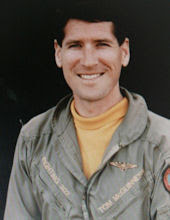 The details of McGuinness's late assignment to Flight 11 were revealed recently by Steve Scheibner, who was originally going to be the plane's co-pilot. In a short film released on the Internet just before the 10th anniversary of 9/11, Scheibner described how McGuinness came to replace him on Flight 11 and thereby saved his life. At the time of the 9/11 attacks, Scheibner was a fundamentalist Baptist pastor and a commander in the Naval Reserves, but he also worked part-time as an on-call pilot for American Airlines. He had been available to fly on September 11. "So at about three o'clock in the afternoon of September 10," Scheibner recalled, "I sat down at the computer and I logged in like I normally do, to check to see if there was any unassigned flying for the next day. And sure enough there was one trip that was available on September 11. It was American Airlines Flight 11 out of Boston's Logan Airport to Los Angeles." Scheibner looked at the flight and could see that "there was no pilot assigned to it yet."